As someone who grew up in an era when journalism required you actually had to write about something based on facts and research, I've become increasingly appalled that news has been reduced to what you can fit into 140 characters with a link to a list that usually contains some version of a ten ranked items. #10. Do you really need to know the top-ten things you didn't know about Frozen even if you have kids and have seen it ten times (and no, I don't want to build a snowman)? If you don't have kids, you shouldn't be interested in Frozen at all. #9. Have you ever read a top-ten list that has taught you a single useful thing? #8. Unless the ten things were originally written on clay tablets, there is really no authoritative credibility behind them (and I wouldn't put much faith on them even if they were written on clay tablets). #7. If you have to look at photos of how bad middle-aged former childhood stars look at today to make yourself feel superior, then you really are in no position to judge. #6. Even if there are ten things to do in Lexington, Kentucky, the Horse Capital of the World, are you ever really going to go there? #5. I'd wager a guess that any list of top ten hotels, cities, travel destinations or cruises was sponsored by someone on the list. #4. Unless you somehow qualify to make the top-ten list of anything, do you really care? #3. After you read a top-ten list, don't you wonder what number eleven would be and why it didn't quite make the list? Is it worth the anxiety? #2. 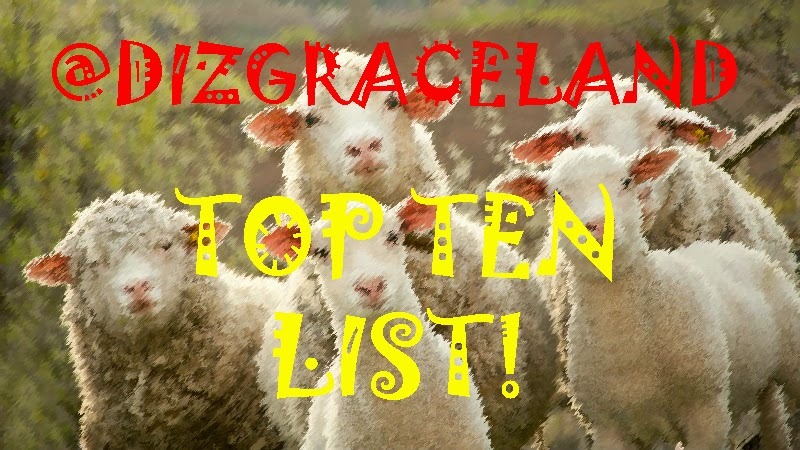 Top-ten lists are written for sheep. It's a formula designed to lure suckers into a website to expose them to bad ads and leave stale cookies in your browser. Case in point, check out this article about top ten tips for writing top ten lists. #1. Most top-ten lists are written by staff interns as a way to keep them busy. All this being said, I'm willing to bet this will be one of my top ten most read posts to date. What annoys me more than top ten lists are lists with daft numbers - 23 reasons to give up wine - with no mention of why there are 23 reasons and not 22 or 24. Baggy, I knew I couldn't pull the wool over your eyes. I think the variations on top ten lists are written by newer interns thinking they are thinking outside the box. The seasoned intern realizes that you get paid the same no matter how many items are in the list. They're all just a scam to get you reading rubbish. On the occasions when i' have succumbed I always wish I hadn't bothered.